Kevin B. Hirsch is a partner at Cohen Lerner & Rabinovitz. 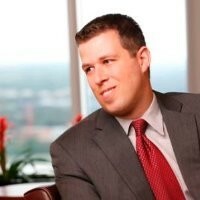 He specializes in large-scale commercial and employment litigation. With over 19 years of litigation experience, Hirsch has practiced in state and federal courts in Michigan, Illinois, Minnesota and California, as well as before administrative agencies, including the NLRB and EEOC. Hirsch has successfully handled numerous bench trials, jury trials, mediations and arbitrations. Hirsch has managed various commercial, construction, employment and intellectual property cases including claims for breach of contract, shareholder oppression, breach of fiduciary duty, defamation, breach of non-compete, trademark infringement and misappropriation of trade secrets. He has counseled automotive clients in all aspects of their relationships with troubled suppliers to ensure continuity of supply and avoid plant shutdowns and has provided strategic counseling on employment issues that arise on a daily basis in the workplace, including leave issues, requests for reasonable accommodations, employee misconduct, performance issues, threats of violence and social media attacks by employees.